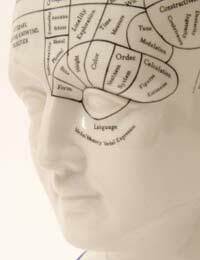 Psychology can be divided into a number of disciplines and applications. In the main, these are based on the core areas of cognitive and social psychology. As such they differ either due to their focus (e.g. psychology of music), or because they are a reaction to the main assumptions of the original approach. Some specialist areas of study within psychology are the result of focusing on a particular issue. Family Psychology, as an example, is (perhaps not surprisingly) the application of social and developmental psychology to the family setting. The result can be a study of parenting approaches or of how particular forms of child-parent interaction might assist (or hinder) children in their learning. Research in this field is not always that scientific – articles have been written on the parenting techniques of Homer Simpson (apparently he’s a very caring modern father). Another field, where psychologists of all types contribute, is the study of human decision making. The research includes the dynamics of decision making in organisations and groups as well as how we absorb external information and make personal decisions. One example was a study in the 1970s where the effectiveness of an early anti-smoking initiative was explored. Individuals who wished to give up smoking were given practical advice, and to help sustain them in giving up, and were encouraged to attend group therapy sessions. The result was that those who attended the support groups were less likely to actually give up smoking than those who just did as advised and stayed on their own. On exploration, the individuals actually found the support groups rather pleasant experiences – but if they decided to stop smoking they were then forced to leave the group, so on balance they decided to keep on smoking and enjoy the supportive group atmosphere. Other studies have looked at how individuals alter the nature of a problem (or the attractiveness of solutions) so as to simplify the choices available. A practical example is believing that a decision needs to be made by a certain time (i.e. using time pressure to simplify the decision) and then making an initially convenient choice. Quite often, after making the decision, the individual will express regret at their choice (effectively modern psychology has an explanation for the old saying of “choose in haste, repent at leisure”). Another related field is how groups accommodate different opinions when making decisions. In theory a group should be better than the separate individuals as it has the ability to draw on the full range of expertise, previous experience and skills available to it. In reality many groups are too quick to close off options and members will often place ensuring a pleasant working environment as being much more important than disputing a decision (though they may be less willing to take full responsibility if it does turn out to have been an error). Other fields in psychology are often a reaction to what is seen as a fundamental error in their original discipline. Thus, as noted elsewhere, social psychology is seen by some psychologists as being too reliant on experiments conducted in universities using groups of students. One response to this was the development of “Constructionist Psychology” with its focus on how people form their beliefs (and sometimes alter them) in real world settings. Less common in the UK is the idea of schools of psychology. This is more common in Europe where certain Universities will openly identify their approach to the subject as Gestalt, Freudian or Jungian. Most UK undergraduate degrees will consist of modules in cognitive, social and developmental psychology (this is essential to meet the BPS requirements). However, even within this core structure, the research focus of the department may lead to an emphasis on one or another area of application (and psychology can be applied to topics as varied as music and athletic prowess). At the postgraduate level, you will find a range of highly specialised degrees that are connected to the research focus of that particular department.